First of all I thank the Almighty for my success. I have been holding back from writing this post for a while because it’s so long but I think now was the perfect time to publish it. Through so much hard work I was successful to get a good score for the USMLE Step 1. In my opinion if I can do it then anyone can do it because I graduated in the bottom 10% of my class while attending Bonaire for basic sciences. There are questions people asked me via private messages and I’m going to explain them in detail in this post. This post is longer than my usual posts so get a cup of coffee and get ready to read away. The answer is they only helped me 5%. The only class I got most out of was Pharmacology. However, majority of the other teachers had no hope for me because they thought I wouldn’t make it through. I remember one teacher would be surprised if out of the blue I would get an A on a test. So I had a lot of challenges in terms of motivation and encouragement from these teachers. I don’t want to disrespect them because they are my elders but they encouraged the students who had it easy in Bonaire. The students who had it easy had money so they could study well and they didn’t have to budget much. Me on the other hand was always worried about money and food so, that hindered my studies. I was called a dork because I would stay home all day because I wanted to catch up but I had a malabsorption problem that negatively affected my studies. The worst part of my illness is that I didn’t know what was going on with me and none of he teachers, who are “doctors” ever bothered to ask me. Luckily I got that taken care of when I came back to America. I had a lot of challenges in Bonaire in terms of finances and that affected me negatively greatly. What did you use to study for USMLE Step 1? How I used the resources varies on which concept I was weak in. The best learning tool I used was USMLE World question bank. 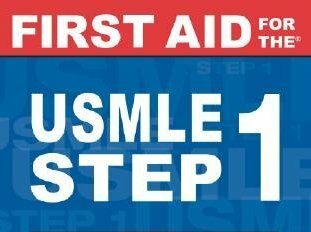 The best memorizing tool would be First Aid for the USMLE Step 1 book with Doctors in Training. I used his lectures to learn various concept, especially immunology. I honestly can say this teacher deserves a place to teach at Harvard Medical School. His teaching style is smooth and easy to understand. He explained things hundred times better than any other teacher. If I knew about his lectures while in Bonaire then I would’ve taken my exam right after AICM. Kaplan, no doubt, is the ultimate source to study. Kaplan is basically a medical school by itself. If you know Kaplan books inside and out then you should be good. However, in reality not many can memorize the extra nitty gritty details Kaplan Medical teaches you. You should use Kaplan lectures to set your foundation of basic sciences. I used Kaplan Medical video lectures for Physiology and Behavioral Science. DIT is a great tool if used correctly. If you follow the way they want you to follow, as in watching and pausing and doing the quizzes then there should not be any reason it would not work for you. But I have to admit it can get very boring, but if you stay firm then you will persevere. DIT should be used at the last moment. I completed DIT 3 weeks before my test. Don’t be deceived that DIT will take two weeks to do; it took me one month to do DIT because I was writing what the lecturer was saying and doing questions. DIT is not for everyone; a lot of people don’t complete the course. DIT was recommended by most of my friends who passed the test so. that’s why I did it. This course is good to grasp the pathology subject. This course comes with a book which arrives in 2-3 days if you live in the US and it also comes with a video subscription. Dr. Husain Sattar wrote the book titled, Pathoma, and he explains his book on video lectures which you watch online. You can’t download the videos so it’s better to get a long subscription for this course. I paid $100 for one year course. My subscription is still active, I think it’s up to March of 2013. If you live in Chicago then I’ll sell it for $50 firm in cash and I’ll include the book, which is still in very good shape (book is already sold). Just email me at [email protected] Please note I will not ship the book nor will I accept low ballers. USMLERx(Rx) was useful to pin down First Aid (FA) book because the people who wrote FA created Rx. Rx was used after I went through USMLE World (UWorld) times because the more question you do the better. Rx is not as good as UWorld, but it’s useful in getting familiar with FA. Rx had a lot of errors in terms of spelling and concepts and I recognized them only because I went through UWorld. I’m glad I did Rx because I saw one question, word-for-word on the real exam. I don’t remember the other questions because I was too tired in the later part of the exam. USMLE World (UWorld) is the most important learning tool I have used for the USMLE Step 1. This question bank was a lifesaver. After coming out from Bonaire, and not getting taught jack for paying $4,500 per semester, UWorld made up for it. UWorld should be a book in my opinion but then it would be easier for copyright infringement for those who do it. I never used the pirated copies; I paid for the legit version from the USMLE World Company because you get what you paid for. I used UWorld while I would be waiting for something so I have the UWorld program loaded up on mobile devices. I think I wrote down almost all the educational objectives on my First Aid book. Trust me when I tell you the explanations from UWorld are gold. If you know UWorld inside and out you can do very well on USMLE Step 1. First Aid (FA) book should be the most important book for your studies for the USMLE Step 1. You should make all the other books secondary and make FA the primary book. I can remember page numbers of certain sections even to this day from FA because I read the book at least ten times. Keep in mind that I didn’t go page by page in order like reading a regular book. I had to flip back and forth in between chapters to have a good study flow. For example, for Henoch Schonlein Purpura is a vascular disease and it’s located in the cardiovascular chapter of FA, but it’s also associated to IgA nephropathy, which is explained in the renal chapter. So you cannot read the book in order like a regular book. I went through FA with Doctors in Training (DIT) course because there’s no way I can sit there and try to figure FA out. Without DIT I would’ve been lost while trying to go over FA. These exams should be used to see where you are at in terms of your strengths and weaknesses. The USMLE World Assessment (UWA) tests are also good too, but they over estimate. There are two versions of UWA tests, but I did only UWA 1 and didn’t do UWA 2 because they said UWA 1 is more accurate. NBME exams are written by the same people who write the USMLE exams so, it’s only logical to take those exams before taking the real thing. You should never go take the exam without doing 2-3 of NBME exams. NBME exams are expensive though; each exam is $50 by itself and $60 with feedback. At the beginning I did NBME 7 but I think NBME 11,12, and 13 are closest to the exam. To get an idea where your USMLE Step 1 score will land on, take the average score of all the NBMEs. I hope this post helps, at the end of your studies you should be reading First Aid book over and over again while doing at least one block of USMLE World questions per day.